I spent the entirety of yesterday and the evening before that casting on and re-casting on the same pair of socks, unable to find a cuff that looked and felt as good as I was hoping to find, whilst still being as stretchy as an elastic band. I thought I may have found such a cuff yesterday but wanted to knit on for a few more inches to make sure it kept its qualities with a healthy amount of sock attached to it. About 4″ of sock is now complete. The sock cuff is wonderful and stretchy – there is no tight line of cast-on stitches and it feels wonderful on the leg (I just gave it a little ‘test’ around my ankle). It is essentially a hemmed cuff where a row of stitches are worked together with a row of stitches from a provisional cast-on, but by spending ages (too long) playing around with different needle sizes, etc I think I have it just about perfect. This sock cuff is very elastic, and the stitches do not distort or ‘pull tight’ in any area. The cuff actually stretches quite a bit more than this, but I couldn’t find a wider piece of strong cardboard to stick in the sock leg to show the stretch. Still, I think it is quite an impressive degree of elasticity. I am happy with the look and feel of the cuff when it is both stretched and relaxed, so I definitely think I will be using it often. The cuff is worked flat and joined when it is complete. The second picture (showing the cuff stretched) has the join directly in the centre of the cuff, so it is invisible if you seam the sides carefully. You could work it in the round, but at one point you’d have nine DPNs involved, and life is too short. Using smaller needles and scrap yarn, cast on the number of stitches required by your sock using a provisional cast-on. Fold cuff over so that the right side of ribbing is facing you. Using one of the larger needles, knit one stitch from the front needle together with one stitch of the back needle in pattern.For a knit stitch you will insert the right needle first through the stitch on the front needle, then through the stitch on the back needle, knit those stitches and drop both stitches of their respective needles. When working the purl stitches in your ribbing sequence, insert the right needle purlwise first into the first stitch on the back needle and then through the first stitch on the front needle, purling them together. 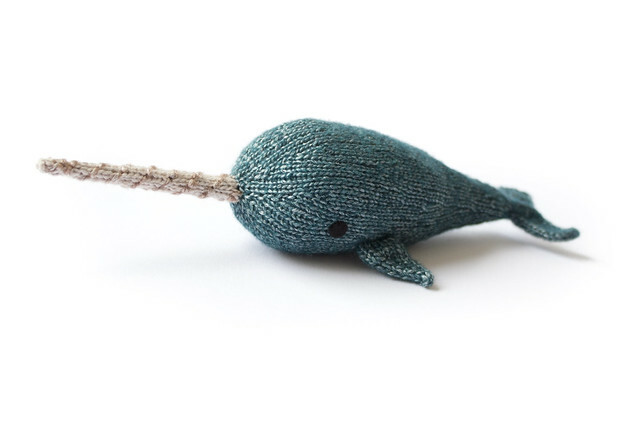 Be careful not to knit these stitches too tightly – these stitches will not be ‘baggy’ due to the large needle size as the will be stretched backward slightly to accommodate the extra yarn from the stitches at the rear. Switch to the smaller needle size, which you will be using for the rest of your sock pattern – you may now either continue your ribbing sequence as established until your cuff is the desired length, or go straight into your pattern if you desire a narrow cuff. sounds great, a tutorial would be fabuolus! I love that tree pattern on the sock… is it from a particular pattern or did you just make it up? The cuff looks wonderfully stretchy… I will have to try it! Could that cuff be adapted for toe up socks? I love knitting toe up Anna am always looking for a good way to work the cuff that stretches! Could that cuff be adapted for toe up socks? 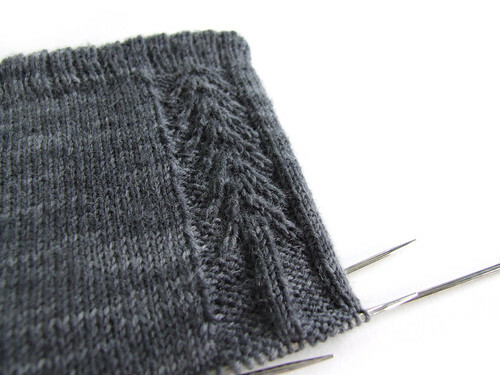 I love knitting toe up and am always looking for a good way to work the cuff that stretches!